Alexander Rose Cordial Stainless Steel Sofa: The Alexander Rose Stainless Steel Sofa is part of the new and modern Cordial Range which also includes stainless steel chairs and tables for a matching set. 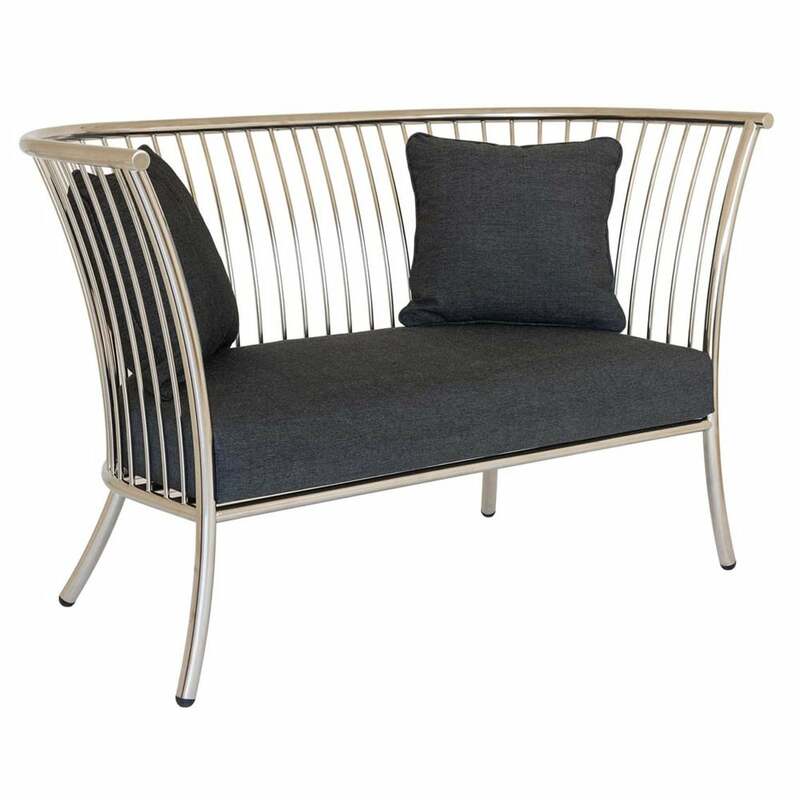 The Cordial Sofa features an attractive curved tubular frame, contemporary open design with supportive high sides and luxury, water resistant base cushion with two scatter cushions for added comfort when relaxing outside. The Alexander Rose Steel Sofa is made with electropolished stainless steel for sturdy structure with a 10 year manufacturer’s warranty.